Pastels are very trendy now, not only in outfits or makeup, they are also cool for your hair! How can you make your hair pastel? Take dry pastel chalk (oil-free), gloves, sprays with water dispensers, a cup of water and a hairdryer. Pick locks that you want to color and spray them with water enough to feel that they are wet. 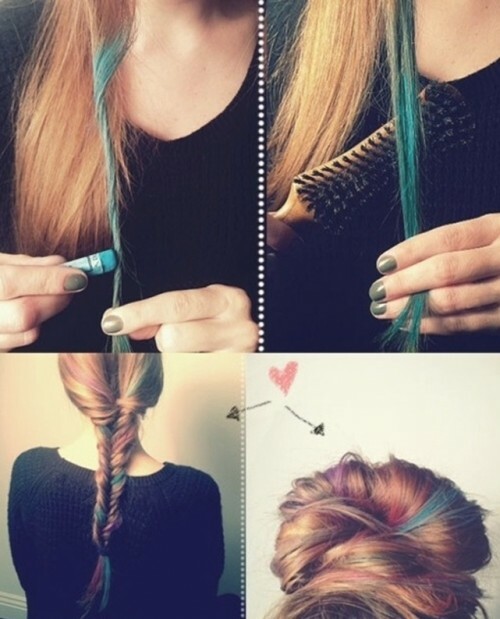 Color your hair by rubbing chalk down and make sure that the whole lock gets enough color. Dry the locks with a hair dryer and make a hairstyle that you want. The locks are going to hold the color for one or two days, enjoy!